The Anschutz Glove 111 has super grip and is a big favourite of the professional target shooter. Stretch band on wrist for an easy put-on. Respiratory Mesh material ensures excellent temperature regulation. 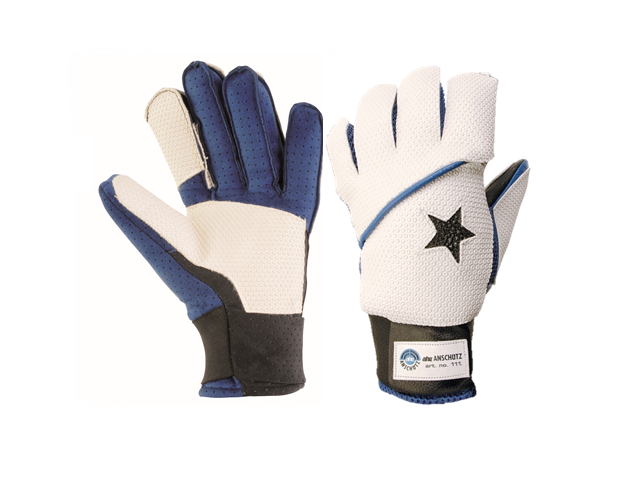 The Anschutz Glove 111 has super grip and is a big favourite of the professional target shooter. Stretch band on the wrist for an easy put-on. Respiratory Mesh material ensures excellent temperature regulation. Also, gas a white anti-slide coating. The glove material at the back of the hand and on the palm has a grip rubber material to give more grip to your rifle or pistol while shooting. Due to the use of latest high-tech materials the back of the hand is reinforced, the wrist is stabilised in addition. There is a damping material from the back of the hand to the palm. The pressure of the hand stop is thus evenly distributed in the prone position. The top grip material avoids any sliding of the gun. Respiratory Mesh material ensures excellent temperature regulation. Available sizes are S, M, L, XL. Inner lining material is 34% wool, 33% viscose and 33% polyacryl. Padding on top of grip. These gloves are aptly named, as nearly the entire exterior surface of these gloves are coated with a white, tacky material to enhance one’s grip on a firearm. 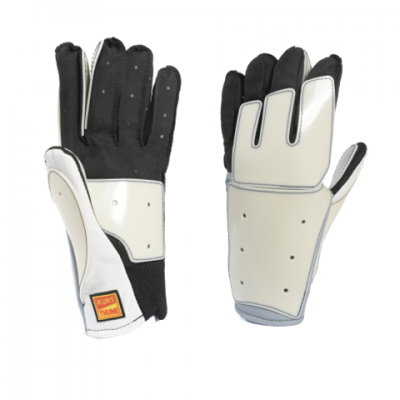 One convenient aspect of the gloves is the stretchable wrist, making them easier to put on or take off. Despite their anti-slip coating, the gloves still retain their temperature regulation abilities due to the respiratory mesh section at the top of the palm. 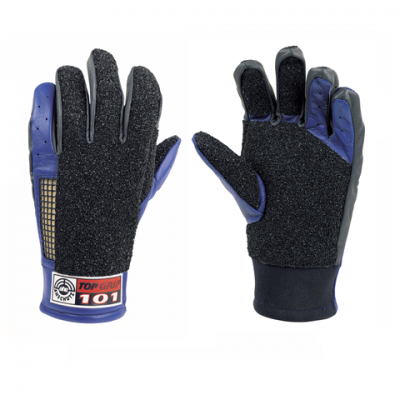 The Anschutz glove 111 super grip is named because it gives more grip than the other Anschutz gloves.